Marple Blasting Services are a Stockport based specialist in blast cleaning of stone, brickwork, timber, metalwork and ironwork serving the whole of Stockport, South Manchester and Cheshire areas. 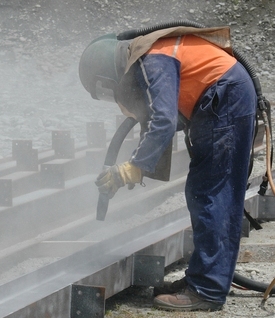 Marple Blasting provide a wide range of abrasive blast cleaning services, often called sandblasting*, shot blasting or grit blasting, for a wide variety of customers and clients at our large blasting facility at Wood Farm in Marple, Stockport. Marple Blasting Services also provide a mobile blast cleaning service throughout the Northwest including Greater Manchester, Cheshire and beyond. *Sandblasting is a generic term widely used for the type of services that we provide but blasting with sand is actually now illegal. 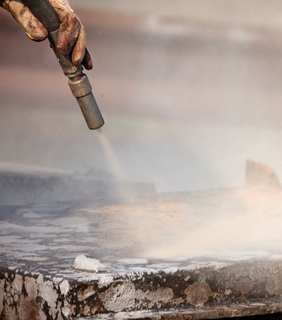 Marple Blasting Services only uses approved media for our abrasive blasting operations. Our blast cleaning services include rust and paint removal from any kind of metalwork structure, vehicle, plant or machinery ready for repainting. We can also apply primer and paint treatments to your specification immediately after blasting to ensure the best possible protection. We use a variety of abrasive cleaning techniques and have extensive experience in timber restoration, building clean-ups, graffiti removal and restoration of cast iron fire places, park benches and similar items. We can cater for any size of blasting cleaning job including domestic and commercial applications anywhere in Stockport, Manchester and Cheshire.